in the summer. 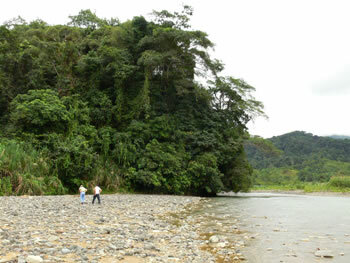 About 60% are with tropical primary forest and there are three natural springs of pure fresh water. Hotel, Mountain Lodge and home sites. ocean beaches of Costa Rica. coconut, just to name a few. The soil is rich and fertile - plant anything you can imagine and watch it grow. from Manuel Antonio National Park, the greatest touristic attraction in the country. relaxing and enjoying excellent weather every day, from sunrise to sunset! Please feel free to Email and ask your questions ... Thank you for your interest!